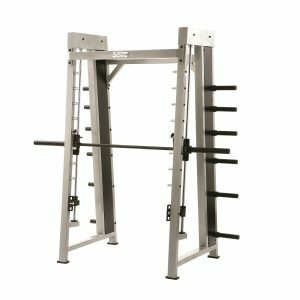 Combo Grip Pull-up Bar – one, 8’ high, 28 mm knurled, solid cold rolled steel bar with 135-degree v-shape in the center for additional grip options. 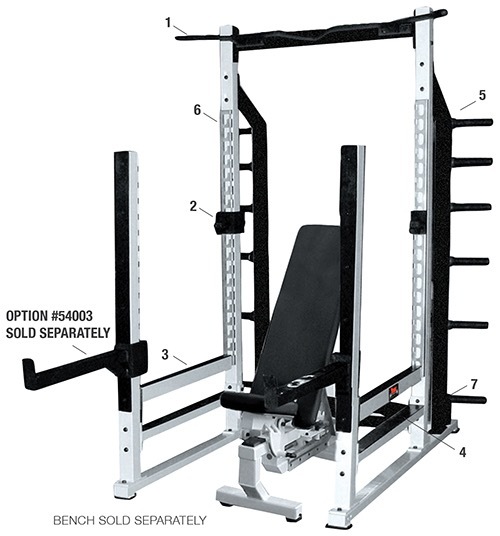 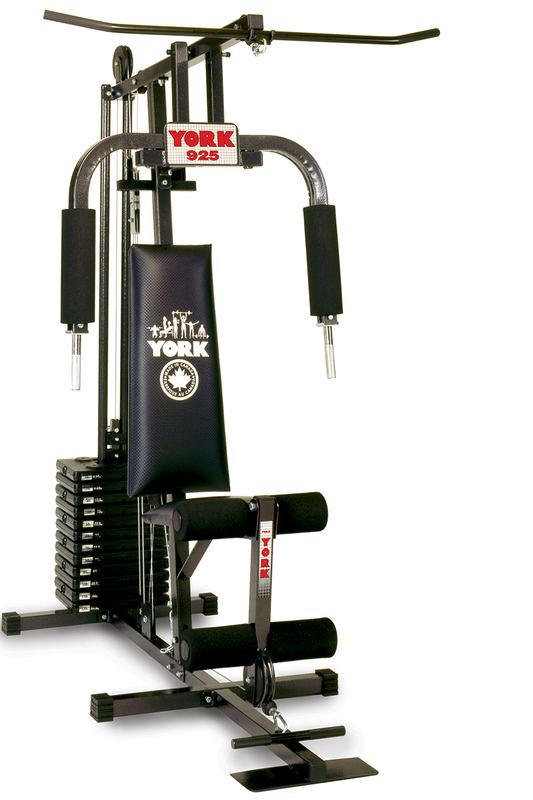 Weight storage – Scuff-resistant weight storage pegs for 45, 35, 25, 10, 5 and 2.5 lbs plates. 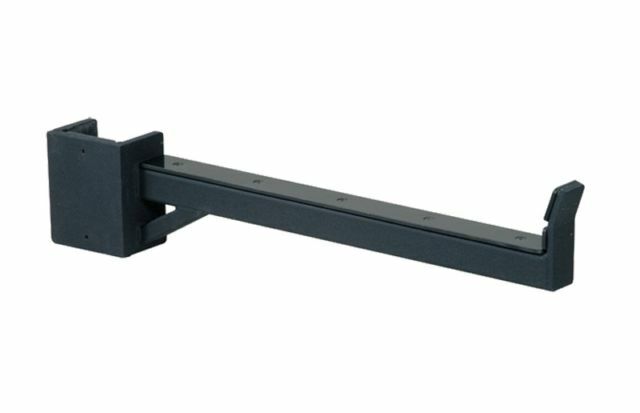 Stainless steel hook-plates – rear upright is adjustable to 19 positions on 3” center increments, accommodating a wide range of heights. 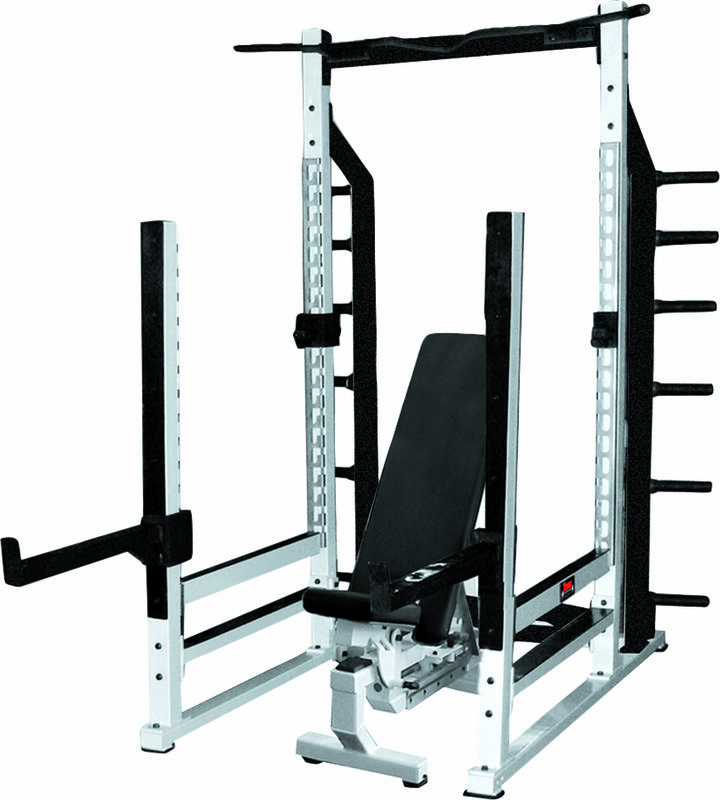 The front upright is adjustable to 15 positions on 3” center increments. 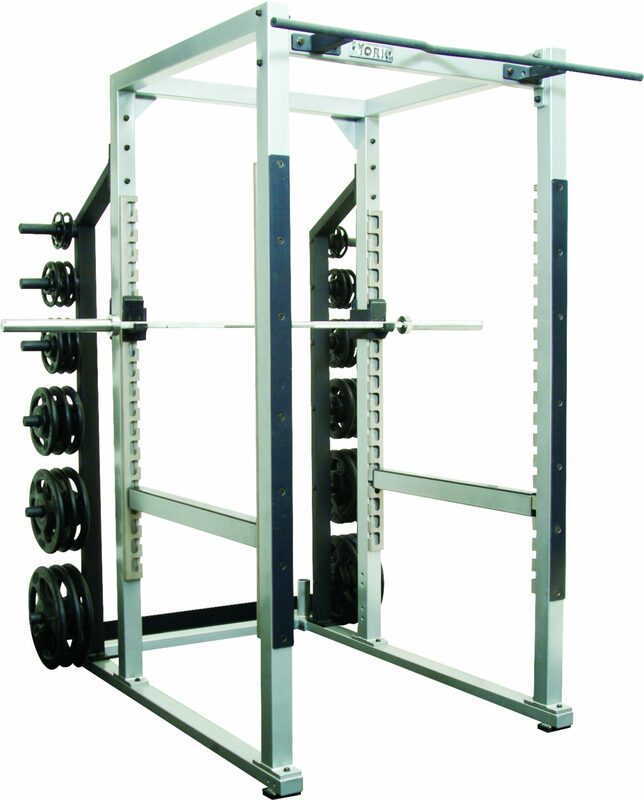 Two welded vertical bar holders.